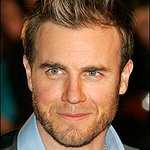 Take That's Gary Barlow will perform two charity concerts at London’s Royal Albert Hall on December 5 and 6. The shows will support disadvantaged young people by raising vital funds for the Prince's Trust and The Foundation of Prince William and Prince Harry. Gary is one of the UK’s most-loved musicians. A member of one of the biggest and most successful bands the UK has ever produced and a distinguished singer/songwriter, he is now also a judge on the new series of X-Factor. He has long been a supporter of the work undertaken by youth charity The Prince’s Trust having donated proceeds from his GB40 show earlier in the year and also attended The Trust’s Rock Gala event in 2010. ‘Gary Barlow in Concert’ will be Gary’s first full solo shows since 1999 and will see him perform songs from his incredible music career spanning over 20 years. The money raised for The Prince’s Trust will support the charity’s UK City Riots Appeal, helping disadvantaged young people from riot-torn areas to rebuild their lives and communities. 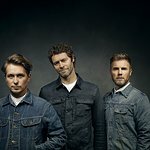 Tickets will be available from the Royal Albert Hall (tel: 020 7589 8212), and online from GigsandTours.com (tel: 0844 811 0051) and TicketMaster.co.uk (tel 0844 826 2826), from 9am on 28th October.